In October 1976, Mr. McMillan entered active duty and was initially assigned as a law enforcement specialist. During 1982, Mr. McMillan was selected and attended the United States Air Force Office of Special Investigations (OSI) Academy at Bolling AFB, DC, and was credentialed as a Special Agent. On release from active duty, Mr. McMillan transitioned into the AFOSI Reserve Program and retired from the Air Force Reserves in February 2000. In September 1987, he began employment with the Defense Criminal Investigative Service (DCIS) where he held a variety of field and Headquarters positions culminating in his selection as the Special Agent in Charge, Mid-Atlantic Field Office. In this position, he was responsible for managing all DCIS investigations conducted in Washington, DC, Virginia, Maryland, the European and Southwest Asia and the Middle East Theaters. In September 2006, Mr. McMillan received his appointment in the Senior Executive Service and was appointed the Assistant Inspector General for Investigations for the Nuclear Regulatory Commission (NRC), Office of the Inspector General. He was responsible for managing all investigative employees involved in criminal, counterintelligence, civil, administrative and technical regulatory investigations. Mr. McMillan received a Bachelor of Science degree in Criminal Justice, from Wilmington College, a Master of Arts degree in Crime in Commerce from The George Washington University, and a Master of Science of Strategic Intelligence degree from the National Defense Intelligence College. Mr. McMillan is also a graduate of the Air War College non-resident program. Mr. McMillan is a Past National President for the National Organization of Black Law Enforcement Executives, a member of the International Association of Chiefs of Police, and Alpha Phi Alpha Fraternity, Incorporated. 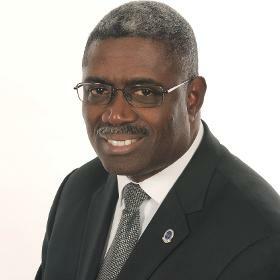 Mr. McMillan graduated from the Federal Executive Institute, and is a member of the Senior Executive Association. He is married with two daughters and a step son. Mr. McMillan retired on March 31, 2018 with a combined 41 years of public and military service.